Improve Your Performance Today! With The Pure Power MouthguardÂ®. Dr. Atty Smith is Reno/Tahoe's Cosmetic, TMJ, and Neuromuscular Dentist. Have you reached your physical potential? Weekend warriors and professional athletes alike are always pushing their physical limits. How would instant improvements in balance, flexibility, and strength help your performane? 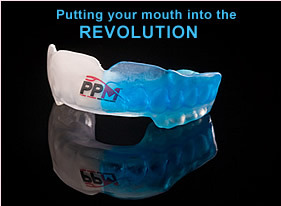 Traditionally, mouthguards have been used to protect an athlete's teeth and jaws, mainly in high-impact activities. But is it really a big deal if you knock out a tooth? Actually, the answer is "yes!" While we all know that teeth are used for chewing, smiling, and aid us in speech, their presence in our mouths affect us in profound ways. The fact is, teeth are an integral part of the "posture chain" that supports proper head position on the spine. When the posture chain is unbalanced become of improper alignment of the teeth, it induces a cascade of events down the posture chain that influences every muscle in the body. For athletes, the effects can be significant. Always overlooked and underappreciated, an athlete's bite is a critical component to proper posture, airway, and core balance. Are you one of the estimated 80-90% of the population that has an unbalanced bite? If so, a neuromuscular examination may be a quick fix for years of pain, discomfort, or sluggish performance on the playing field. Neuromuscular dentists who treat patients exhibiting symptoms of what is commonly called TMJ or TMD find that in a vast majority of cases, simply balancing the bite with a fitted oral appliance causes the patient experiences a decrease in pain and discomfort and a marked increase in strength, flexibility, and balance. 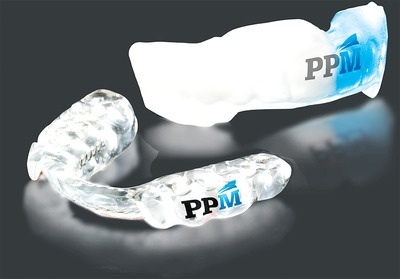 Professional and recreational athletes who have been fitted with one of the neuromuscular products currently on the market, the PurePowerÂ® Mouthguard, report improvements in posture, strength, balance, and control. Clearly, the alignment of a person's bite -- whether in high-performance athletics or ordinary daily activities -- has a great impact on the quality of his or her "game." A simple, painless examination can determine the condition of your bite and set you on the path of better health, well-being, and physical performance. Book your Appointment Request with Dr. Smith to see if the Pure Power MouthguardÂ® is right for you today!